Have you ever thought about what you can do in an hour? Unsurprisingly, many of you take advantage of your time. With Daylight Savings having ended, you just had an hour of your life added back. So what did you do? Take the time for typical chores like switch out the batteries in your smoke alarms, change light bulbs and change your furnace filter? Yeah I didn’t think so. You probably slept. Let’s think of some ways that you can better utilize that hour you literally just dreamed on. Take an hour to reach out to a family member you haven’t talked with in a while. Re-connecting with family can help relieve stress and guilt of not talking or staying connected. Life happens, everyone gets busy, take the few moments you have to connect. You’ll be happier and your time spent with the family member will have a lasting effect. Not the most enjoyable thing to do with your hour, but it is a great stress reliever. The holidays are fast approaching and it’s going to get hectic. Like Spring Cleaning, it’s good to do a good fall clean before winter takes full effect. It might be tough to get started, but you’ll feel good after your house is clean. Start making your list, and checking it twice! Spend an hour to get a jump on your holiday shopping. You could either beat the crowds at the mall or do it online. Turning your clocks back offers a chance to get some exercise. Often workouts get washed away with excuses and lack of time. Take the extra hour to start your pre-holiday workout routine. 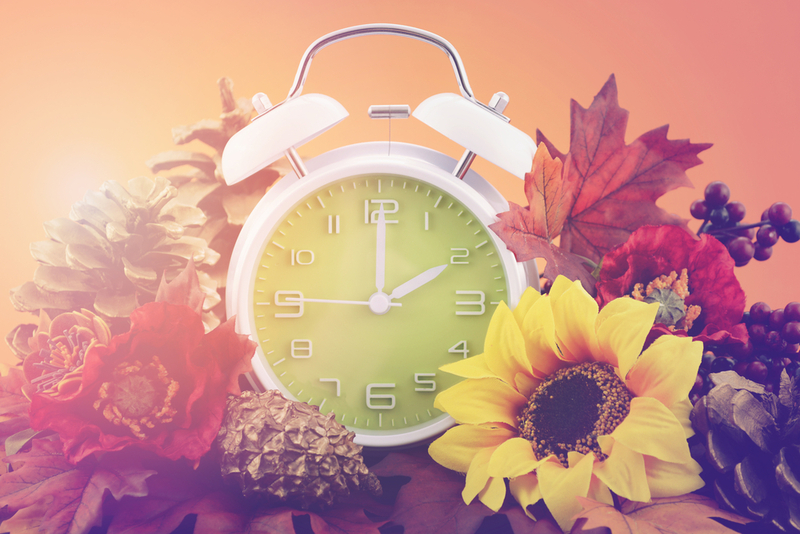 Setting your clock backs is like the start of a new season. Why not kick it off with a relaxing therapeutic massage. Massage therapy will help completely relax your mind and your body. Contact your local Elements Massage™ studio to schedule your custom massage today. Now is the perfect time to get a jump on your holiday shopping, with a gift card from Elements. Why not give the gift of peace this holiday season? The Elements Promise™ guarantees that you and your loved ones will receive a massage that meets or exceeds expectations, or the next one is on us. Visit www.elementsmassage.com to find a studio near you.